Vanuatu Agricultural Supplies is a well know family owned business that was established in Vanuatu in 1983. Their business services three main sectors including; agriculture, water, and horticulture. 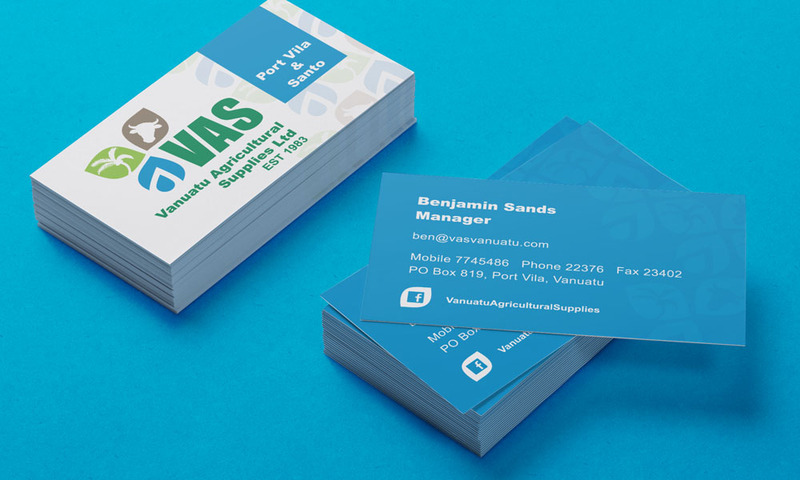 Their logo had become dated and the client asked Pandanus to redesign their logo and branding for their building on the main street of Port Vila. Pandanus created the new branding which is modern, corporate and colourful. The symbols clearly point to the nature of the clients business. We used the common name that people know this business as which is “VAS” yet included the full corporate identity Vanuatu Agricultural Supplies Ltd. We chose to celebrate their heritage in Vanuatu by mentioning when the company was established in the logo.